Prime Minister Karen Karapetyan received a delegation led by Georgian Minister of Economy and Sustainable Development Giorgi Gakharia who has arrived in Armenia to attend the Georgia Business Days. An agreement to that effect was reached between the Prime Ministers of Armenia and Georgia in February, 2017 on the margins of Karen Karapetyan’s official visit to Georgia. The Head of the Armenian government welcomed the holding of Georgia Business Days in Armenia, which may boost bilateral trade and economic ties and create new opportunities for full realization of the existing potential. The Prime Minister highlighted the implementation of specific programs aimed at promoting economic and business ties within the framework of free economic zones on both bilateral and multilateral platforms, and for the development of cooperation in the fields of information technology, tourism and transport. In turn, Giorgi Gakharia noted that given the current high level of political dialogue between Armenia and Georgia, efforts need to be made to intensify trade and economic exchanges, and that the Georgian side is fully supportive of the proposal to develop cooperation in those areas indicated by the Prime Minister of Armenia. 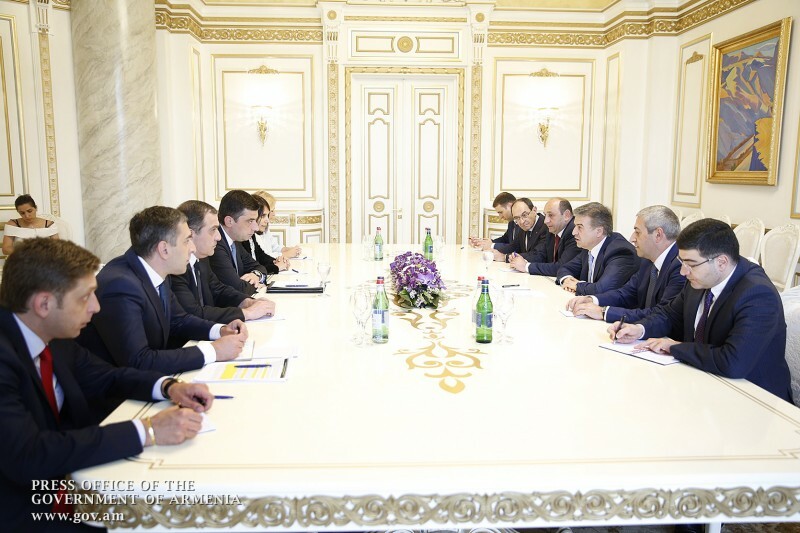 In this context, the Georgian Minister of Economy and Sustainable Development briefed Prime Minister Karapetyan on the results of today’s discussions with the Armenian Minister of Economic Development and Investments. Karen Karapetyan and Giorgi Gakharia took the opportunity to stress the need for strengthening bilateral cultural ties, implementing tourism-oriented projects and joint programs aimed at raising awareness of each other among young people. If we could work a deal for access to the sea~we'd still have to go through the Dardanelles but, even with that, we'ed have a way out for trade rather than by truck or plane. Buy a corridor~build a small port. Edited by onjig, 29 June 2017 - 04:28 PM.